Piece of a honeycomb with orange blossom honey. Orange blossom honey is orange in color and has a sweet taste. 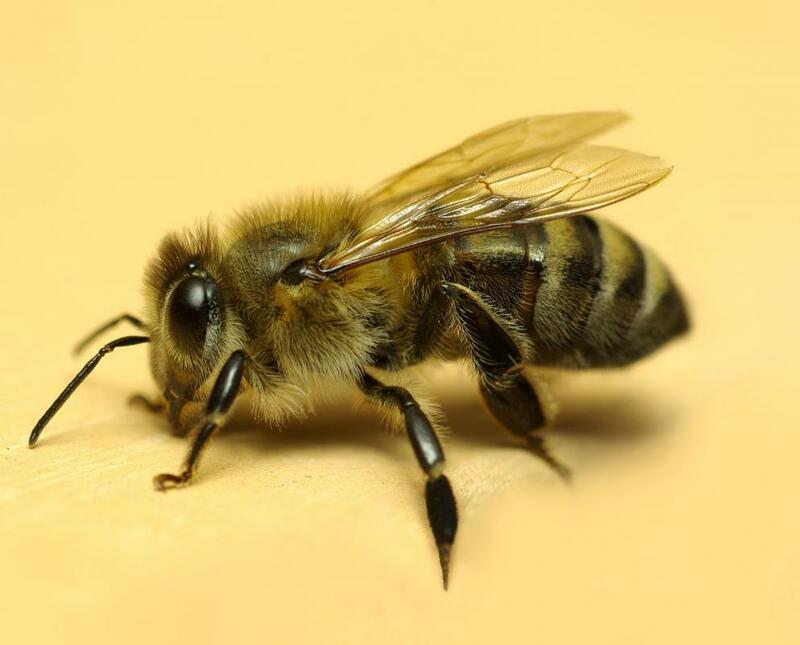 A beekeeper might use an assortment of techniques to extract orange blossom honey from hives. 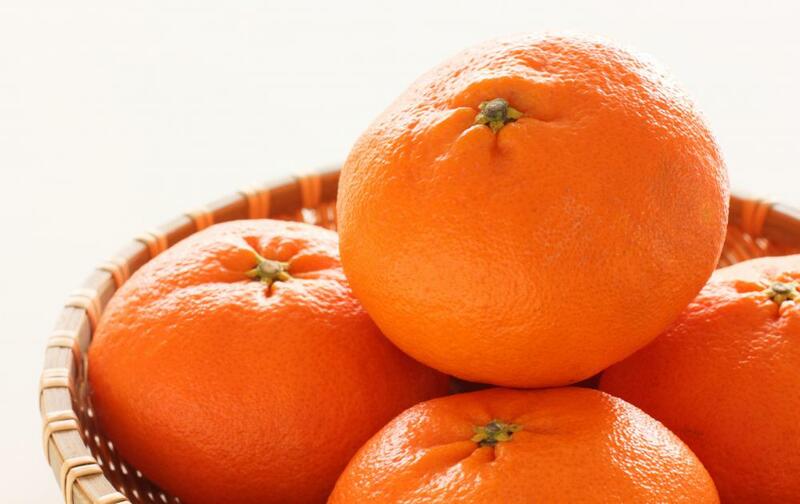 Tangerine is a popular honey flavor. Orange blossom honey is produced by bees who eat the nectar of orange trees. 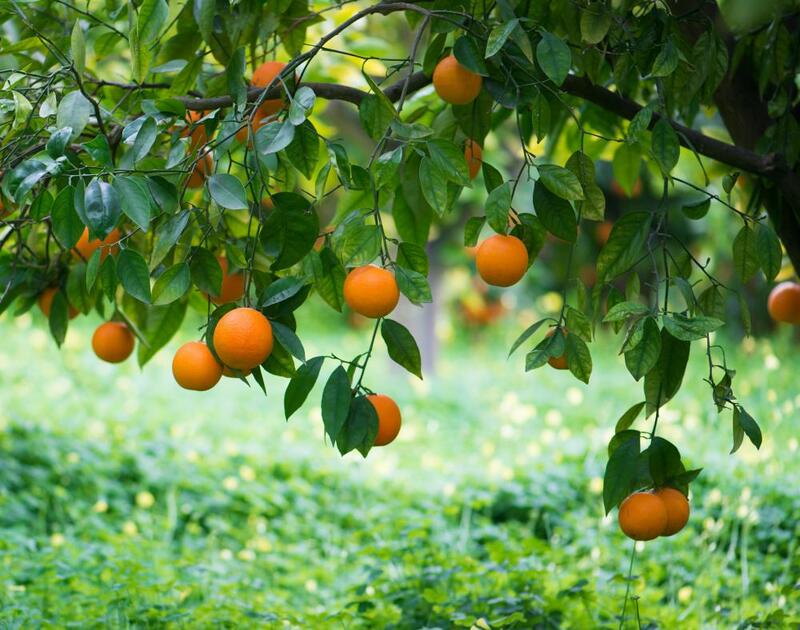 Orange blossom honey is made by bees when they obtain the nectar of orange trees. It is only produced in tropical areas of the world. The finished product is light to medium orange in color and very sweet. It can be spread on toast, waffles, muffins, or added to baked goods instead of sugar. This type of honey is produced by bees who build nests near orange groves. Production of orange blossom honey begins in spring when the trees begin to flower. 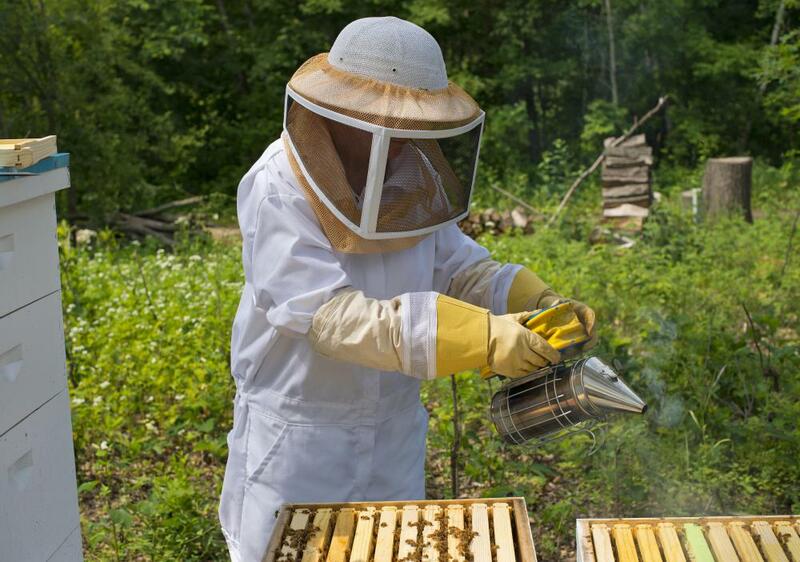 Bees normally labor continuously during this time, obtaining nectar from the blooms from which to make orange honey. Thousands of bees must work together in a hive in order to produce this treat. Orange blossom honey is extracted from the hive by a professional beekeeper. This individual may use a variety of special tools to complete this process. It is not recommended that untrained people do this because it can be dangerous to do so. 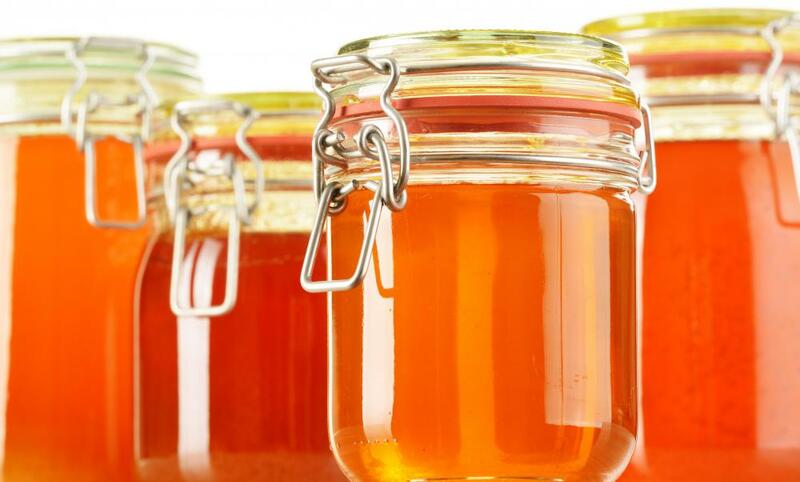 After being extracted from the beehive, orange blossom honey can be placed into jars. This honey is not usually cooked before doing so. It may be filtered to remove pieces of the honeycomb or other debris. 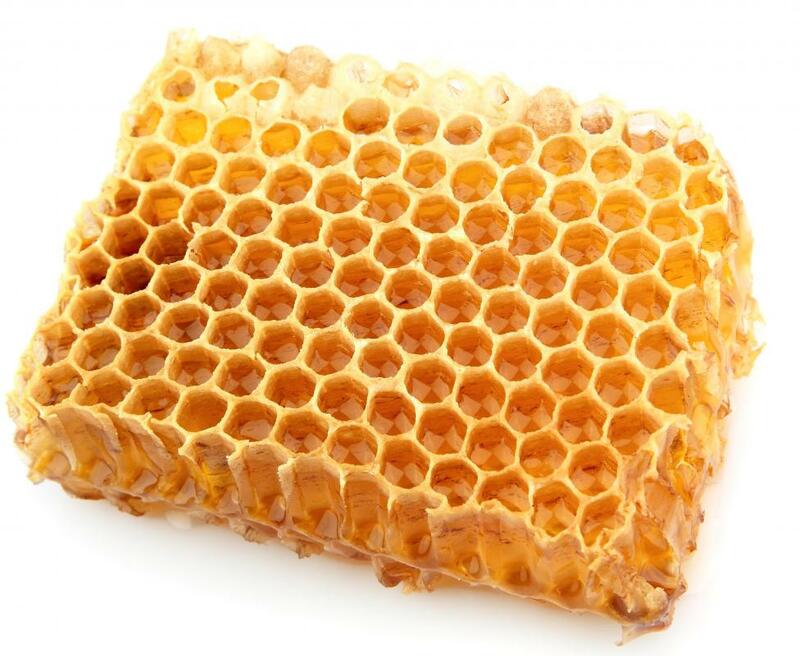 Some people prefer to eat part of the honeycomb along with the orange honey, so many beekeepers allow small chunks of the comb to remain when filtering. The finished product is normally very thick. Most honey is orange in color, and some may be dark while others are light. 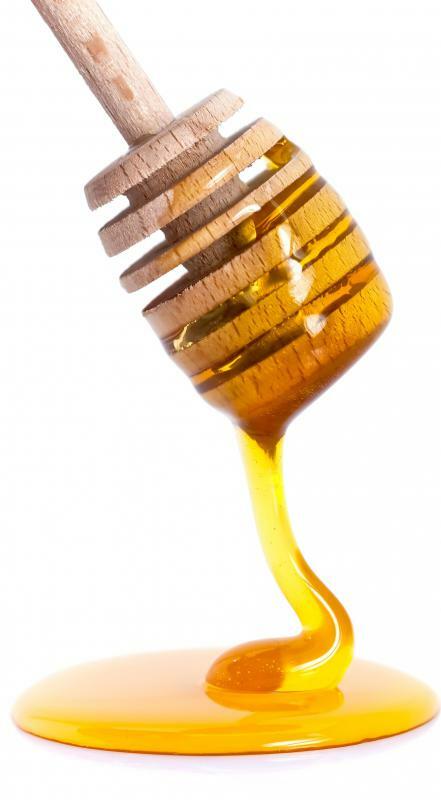 Generally speaking, darker honey contains more minerals and antioxidants than lighter varieties. It may also have a stronger orange flavor than lighter honey. Orange blossom honey can be spread on biscuits or toast. It could also be added to cereal or tea instead of using sugar. Many people add it to glazes for a variety of meats. This product can also be substituted for sugar in a variety of recipes, often making it a better choice for those who are diabetic. Some beekeepers may add flavorings to orange blossom honey. Lime and tangerine are two popular honey flavors. Adding flavors such as these helps enhance the citrus taste of the honey but does not usually overpower it. Honey that has been flavored in this way can be ideal for adding to barbecue sauce when grilling chicken or fish. It could also make an interesting glaze for a number of pastries and ice cream. How Do I Choose the Best Honey Chicken Marinade? What Are Orange Cranberry Muffins? Since I live in Florida, I can usually find local orange blossom honey at the farmers' market. I try to buy raw honey with the honeycomb included, since I heard it was good for building up a resistance to local pollens. When I was a kid, I had no ideas there were all different types of honey. I think we bought clover honey most of the time, but once in a while my mom would bring home orange blossom honey. I could definitely tell a difference in the taste. I still prefer orange blossom honey to this day, if I can find it. There are no orange groves in my area, so it's not available through local honey vendors.